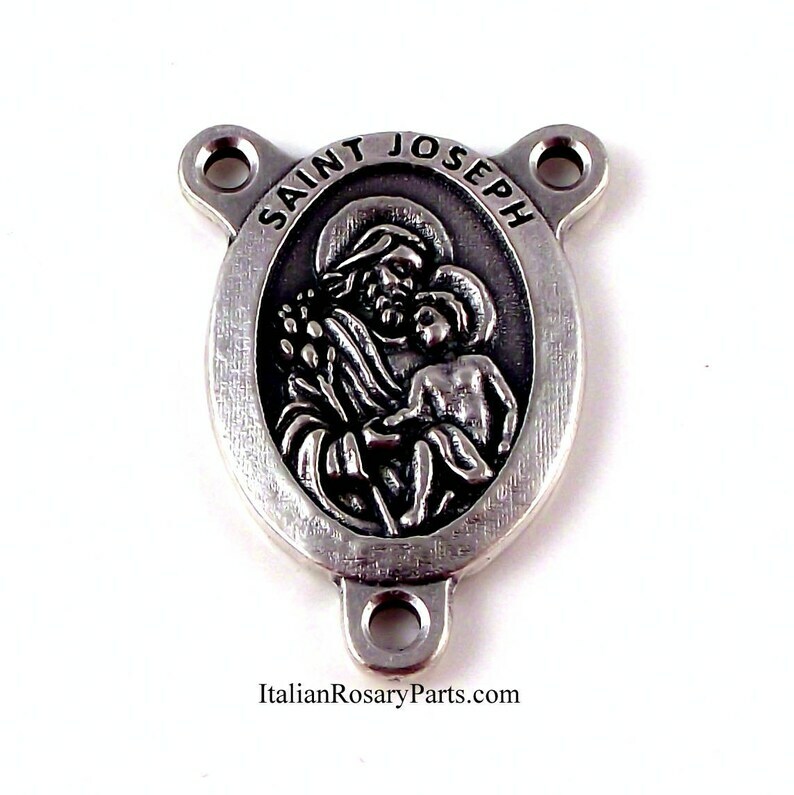 Nicely detailed center depicting Saint Joseph and the baby Jesus. The back reads "Pray For Us". Measures 1" high. Silver oxidized metal. Made in Italy. Very nice, and loved the personalized note.